Dear Mummy, the weather has been awful these past two days and we’ve been confined to the house. 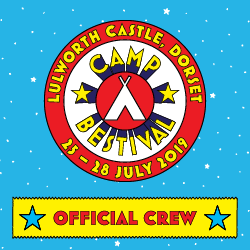 We’ve had fun though by baking and crafting and making lots and lots of stuff. One of my favourite activities has been a really simple one. Playing with buttons. When my mummy was a small girl she remembered going around her grandmother’s house and playing with her button tin. 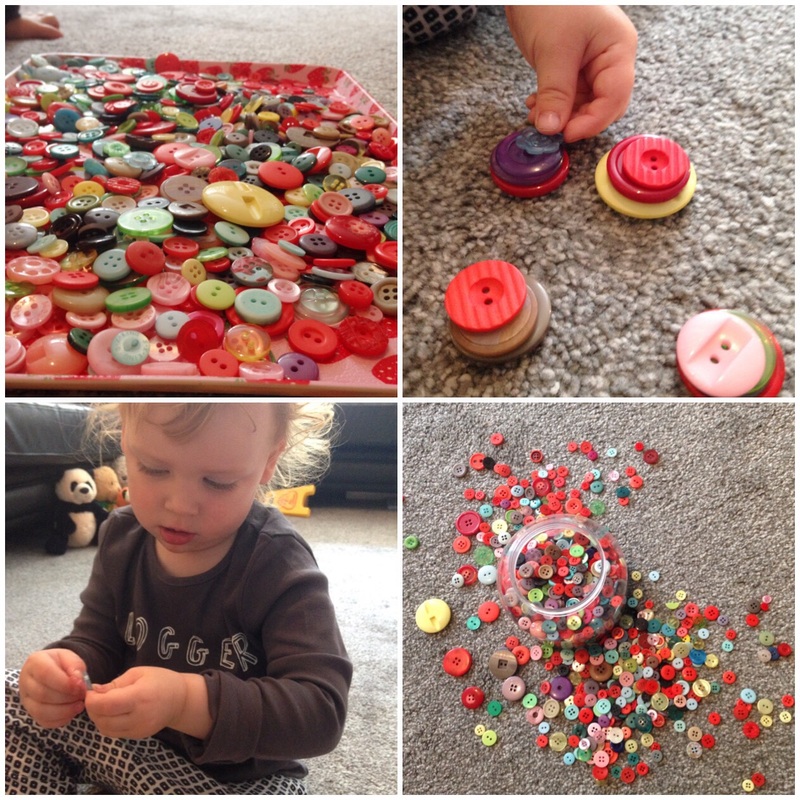 It used to keep her fascinated for hours playing and sorting buttons. She loved the different patterns and colours. I’m much younger than my mummy was but I still enjoy sifting through the buttons, however my mummy has to supervise at all times. My mummy shows me how to sort them into different colour groups and sizes. We also spend time making pretty pattens on the living room floor. I lay the buttons out and make a button snake and butterfly. 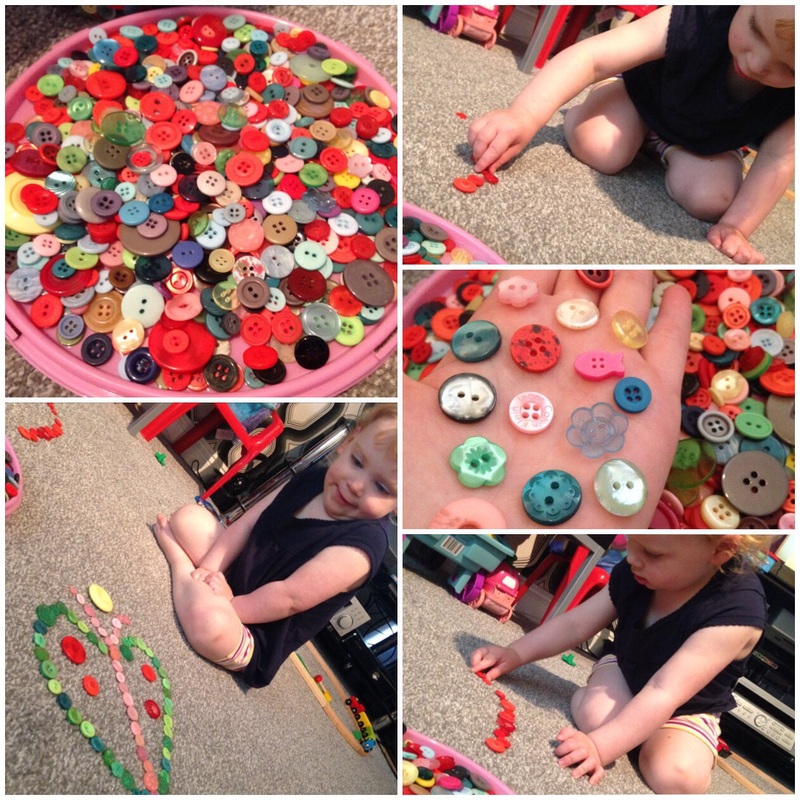 My mummy makes a red flower and uses green buttons for the stem. 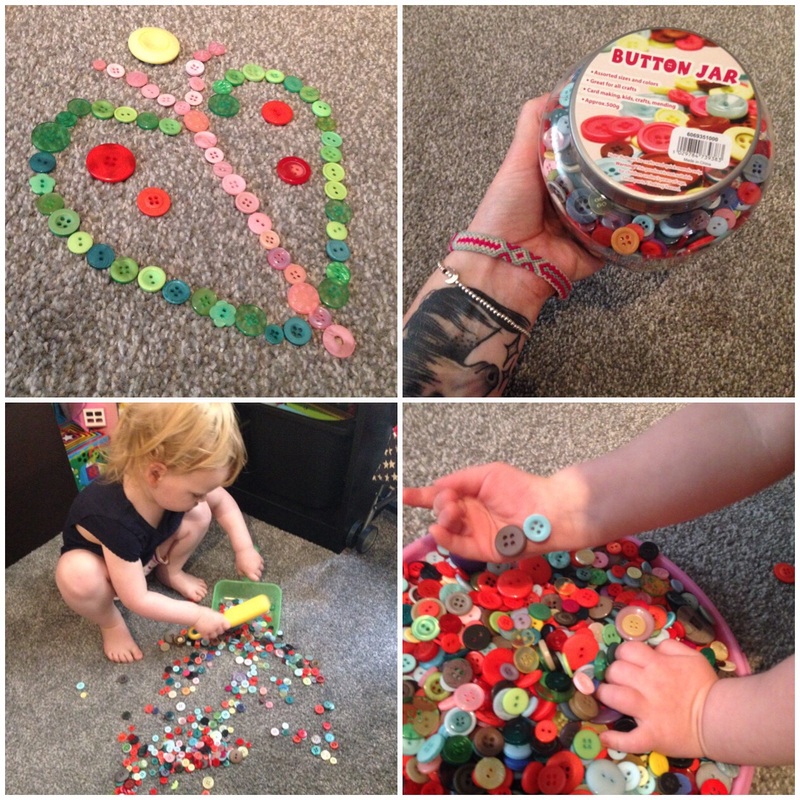 We picked up the button jar from Hobbycraft for £5.99 and after we’ve got bored with laying out patterns on the floor or sorting out the buttons and putting them in order we can just scope them all back up and put them in the jar. 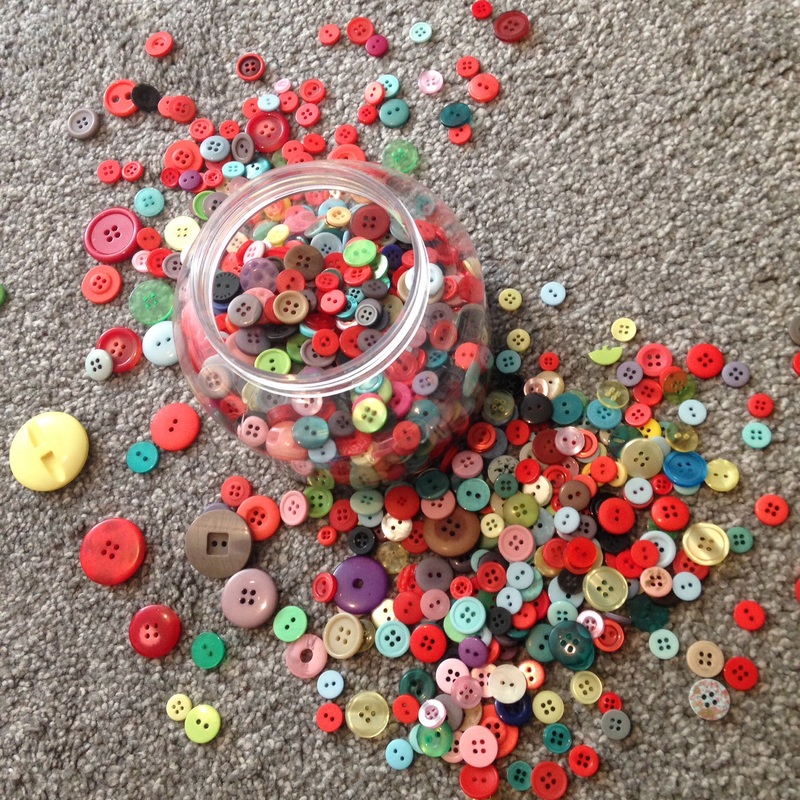 Hopefully over time my mummy can add to our button collection with some vintage and quirky buttons to keep my interest up. Even if I get bored of them I can use them for crafting or card making projects! A great way to spend a couple of hours mummy. 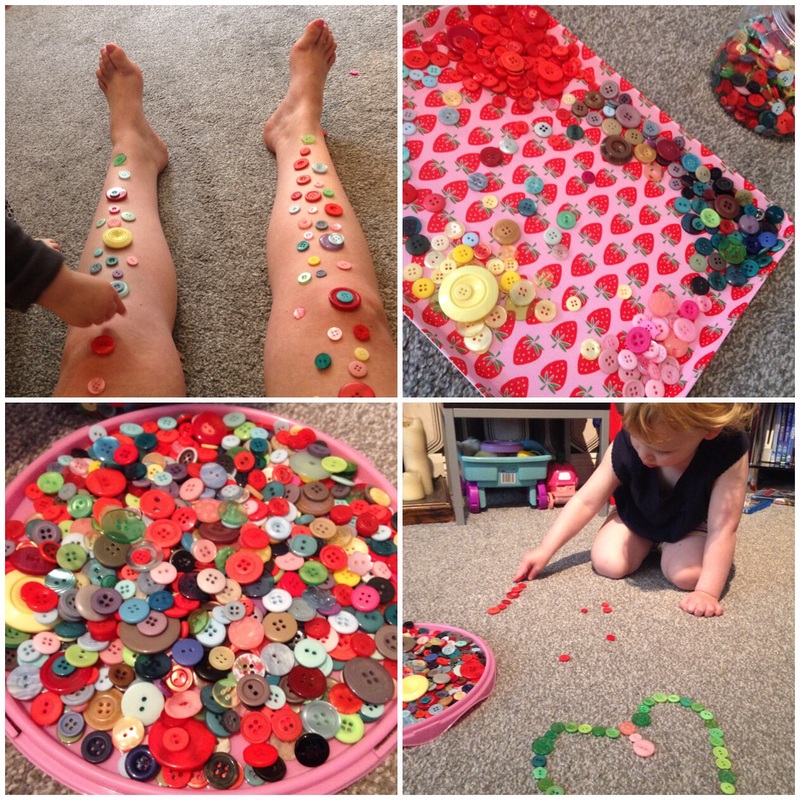 Lovely simple creative fun. I remember playing with my mums button tin. 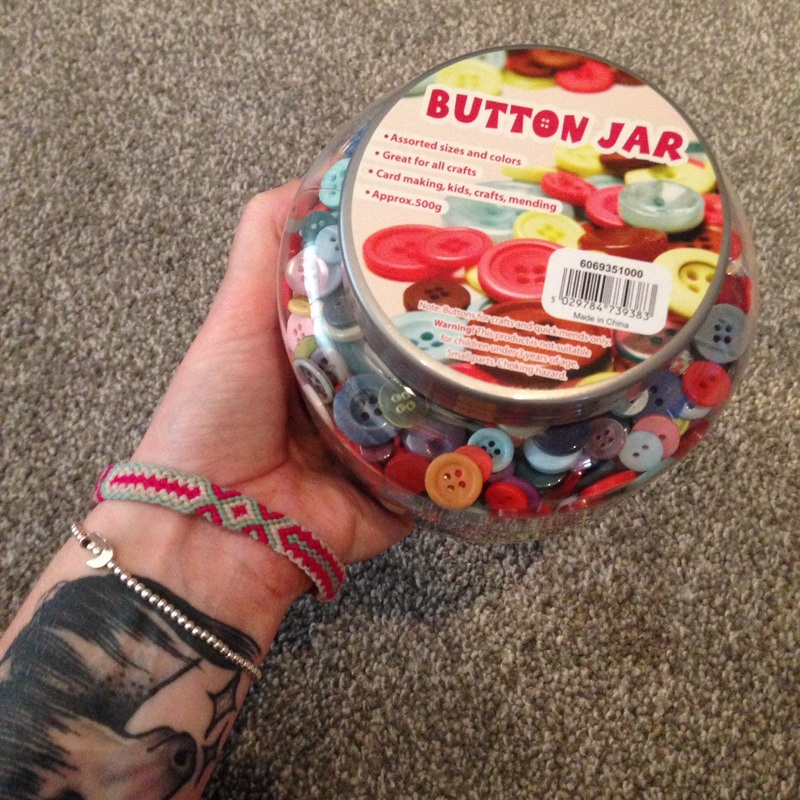 We have a button container too! Our toddler loves playing with the different sizes and colors. 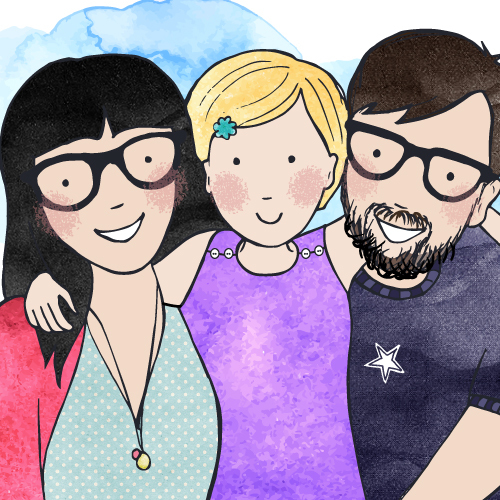 Thanks so much for sharing at Let Kids Be Kids Linky!